The thought it doesn’t matter what we do, it is why we are doing something that brings the outcome has always spoken to me. Over and over again in this process of producing Antenatal Wisdom I have discovered this to be true. The course itself is accumulation of three women’s work who have a combined experience of over 60 years in the field of antenatal work and training. This new project was an opportunity to question everything that we had learnt, experienced, assimilated and taught students over the years. We made the decision that only what we discovered to be true to our hearts would go into the course. Alongside producing the course we were working with a group of students in our monthly study group for nine months all of whom will be accredited as antenatal teachers and doulas. The intimacy and the enjoyment of “getting to know the students” with the face to face contact is a joy that all three of us (the tutors) delight in. So why have we changed to an online course? We asked the question in our exploring of how the training could continue to grow and flourish. “How can we offer the training in a way that works for the students as well as the three of us? We recognized an online course served everyone, in that women could attend the course in their own homes, work at a pace that felt right for them. There could be different forms of accreditation, those who already had studied to be a practitioner could enter at a post graduate level and for those who were starting a new career path we could offer the addition of four contact days to fulfill accreditation standards. What about our joy of getting to know the students? Does working online lack the intimacy of face to face contact in groups? 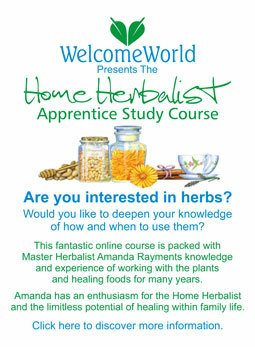 I had already experienced offering The Home Herbalist Apprentice Course online where some of the student’s emailed home study work to me and asked questions. From this I had discovered that if I responded to emails with an open heart and read their home study work with ears willing to listen there was no difference in the” getting to know someone”. Isn’t this amazing and such a demonstration of the so called form of our actions being unimportant, it is the purpose behind our actions that are of value. Many of the students who we will train through our online course will shine their light in the world by working face to face with pregnant women and sometimes their partners. Always this will include the woman’s baby either in her womb or in her arms after the birth .Some may not work face to face and find other ways to communicate what they have discovered about Birth, Love and Relationships. For us what is more important is our sharing with all the students that within their hearts are all the answers as to how to offer assistance to others. This is what Louise, Dominique and myself have been teaching ourselves by offering this to the students, then as if by some mystery we come full circle and the students offer this to the wonderful women they work with. Again how amazing is this? By opening our hearts, by being willing to include everyone in the outcome an abundance of blessings fall at our feet. By using self-inquiry and self-honesty as a tool of focus we have discovered what is true for us and from this the form can arise and communicate our passion and enthusiasm for what we choose to call the limitless potential for healing in the parent and child relationship. We have created Antenatal Wisdom from an existence of love, direct experience and a healing of relationships and offer it to all who are called to work in this loving arena of the parent and child. We continue to say yes to every opportunity that arises to question every uncomfortable thought of lack of love. We are committed to holding steady to what is true. Do we forget sometimes yes, does it matter no because here is another opportunity to question and to dive deeper in to Love. So our course was launched last month and our first online students have begun their journey of discovery. At the same time we are starting our journey of discovery of seeing the beauty of every student who enrolls on Antenatal Wisdom. Why not come and join Dominique and myself at Camden’s Women and Health Centre London on the 3rd of December at 5.30pm to 7.30pm. 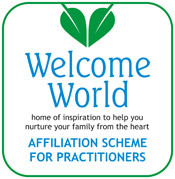 Our invitation is called Birth, Love and Relationships and our online course is called Antenatal Wisdom. Ring me to book your free place.